Oakland Tribune is an American daily newspaper from Oakland (California) founded in 21 february 1874 by George Staniford and Benet A. Dewes. 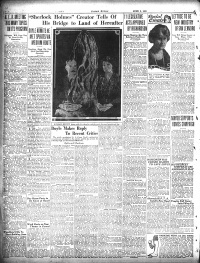 The newspaper published 1 article written by Arthur Conan Doyle in 1923. This page was last edited on 12 August 2017, at 11:33.